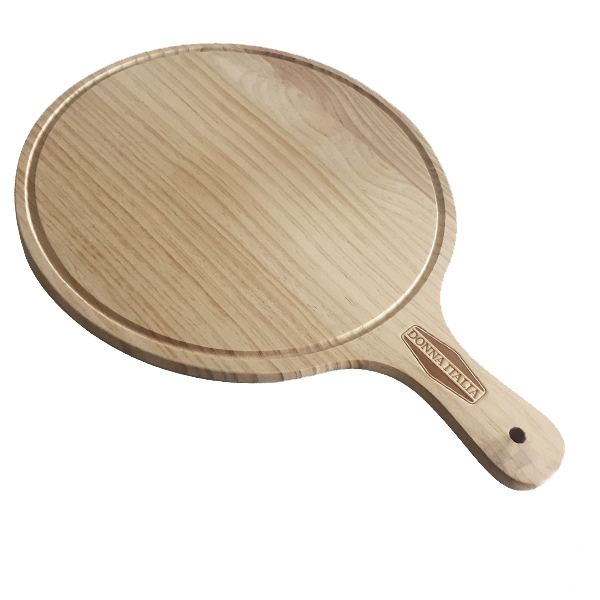 Serve your Authentic Italian pizza on one of our Rustic wooden serving paddles. The handle allows the pizza to be easily served and presented to your customers. The paddle is 12inches without the handle and 17inches including the handle. Each paddle comes with care instructions. Not dishwasher proof. 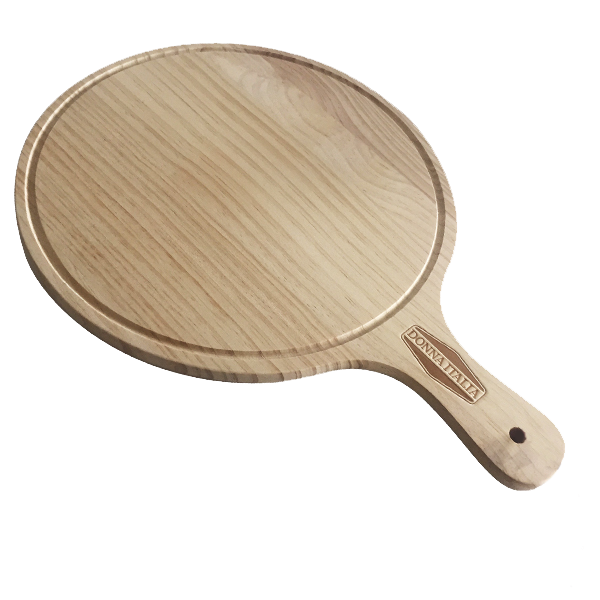 Serve your authentic Italian pizza on one of our rustic wooden serving paddles. The handle allows the pizza to be easily served and presented to your customers. The paddle is 12 inches without the handle and 17 inches including the handle.